Lock in a great price for Hostal Casa Las Lajas – rated 9.3 by recent guests! Owner is very kind and accommodating. He prepared homemade pancakes for us. Room was big and clean. Quiet house, can use the fridge. Warm water, excellent breakafast. 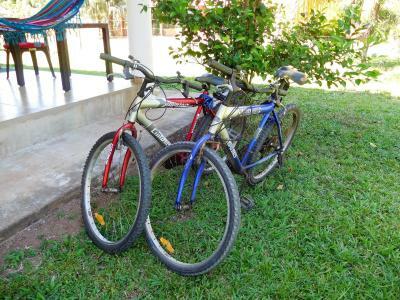 With bicycles (3$) to the beach, 10 km - no problem, nice ride. Host were reeeeally friendly and helpful. No AC was not a problem in January. Safe area. Karola prepared the best breakfast for us including selfmade proscuitto. And she even prepared some glutenfree pancakes for my girlfriend. That was awesome. The house is quiet and a bit far outside. But as everyone of the locals is going crazy on the beach on the weekends through the whole night we were happy to stay here and have a good sleep. The owner Christian was very friendly and helpful. As he was busy getting his new fitness studio and hostel ready he got his friend Carola helping him in the morning. 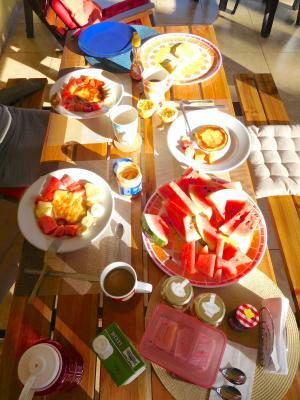 It was nice chatting with her and enjoying an very delicious breakfast with homemade pancakes, fruit, coffee and tea. The whole house is superclean so are the bathrooms and the bed is very comfy. Christian was an amazing host and could not do enough for us. We kept extending our stay daily and it wasn’t a problem. Very clean, you have everything you need to cook and the supermarket is close. Breakfast with Christian is a treat. I recommend the pancakes but the fresh fruits and coffee are also excellent. Thank you for having us to stay. - The cleanliness - The friendly host - Rental bikes in great condition - Yummy good pancakes and fruits for breakfast Christian is a very very kind host who really cares about his guests. The Hostel is not at the beach but in Las Lajas town. This location actually is the better option to stay since you have supermarkets and more diverse restaurants around here. Driving to the beach by bike is no problem and really enjoyable (40min-60min depending on your condition). Alternatively there are taxis.The homemade pancakes with fruits are a perfect start for your day. Highly recommandable! Very fair pricing! Really enjoyed our stay and our time with Christian. Everything is brand-new and very clean. Christian is really helpful and attentive. The breakfast couldn't be better in a restaurant. I loved Chris' hospitality and attention. Everything was so clean and breakfast was delicious and on time. Nice bedroom and the beds was comfortable. I am going to return soon with the whole family. Everything Calm, clean e.c. I'm not first time in this hostal. So, I gonna recomend this place my friends. 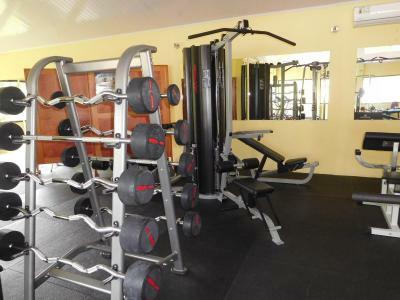 Located in Las Lajas, Hostal Casa Las Lajas has barbecue facilities, garden and free WiFi. Featuring a shared kitchen, this property also provides guests with a terrace. You can play ping pong at the hostel, and bike rental is available. 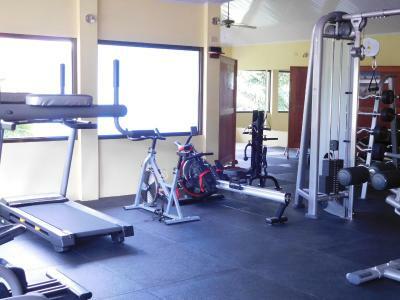 The nearest airport is Enrique Malek International Airport, 53 miles from Hostal Casa Las Lajas. 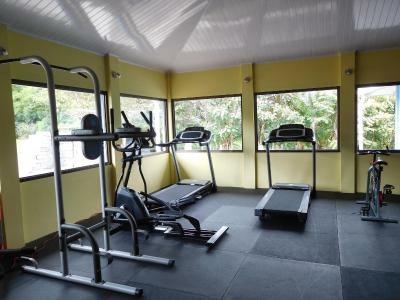 This property is also rated for the best value in Las Lajas! Guests are getting more for their money when compared to other properties in this city. When would you like to stay at Hostal Casa Las Lajas? House Rules Hostal Casa Las Lajas takes special requests – add in the next step! Please inform Hostal Casa Las Lajas of your expected arrival time in advance. You can use the Special Requests box when booking, or contact the property directly using the contact details in your confirmation. Christian is a very nice Host with the aim to satisfy his guests. He doesn't take as many people as there is space for, to keep the atmosphere relaxed. He makes your laundry, you can rent a bike or he drives you to the beach. Last but not least: pancakes for breakfast!!!! Unfortunately there‘s no AC in the rooms , so be prepared for the heat. You also should keep in mind that the beach is quite far (around 10km), but Christian is always there to give you a ride - and if not you can still use the bikes and get a little exercise. It was really great to stay at Christians place. It’s a nice house near the center of Las Lajas with a big terrace with two hammocks and a big garden. You can even think you‘re staying at a Finca in the Toskana. So it‘s also very recommendable for families. 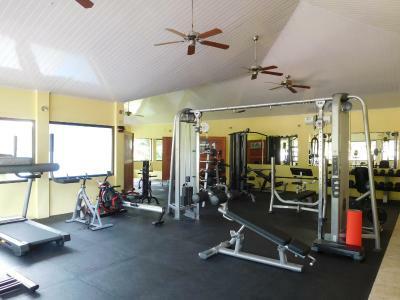 You can rent bikes, use the grill and there is also a little fitness area which includes a ping pong table. You get a very good breakfast: pancakes with sirups, marmelade and some fruits. Your first coffee of the day will be prepared by Christian - the rest of the day you can always feel free to prepare your own :) Christian was always happy to help. He recommended us a great horseriding trip and also a nice restaurant. Nice new hostel with a great host. The pancakes were the best we had on our Trip. We really enjoyed our time!